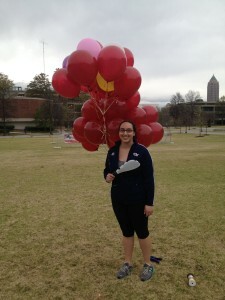 The Georgia Tech Ramblin’ Rocketeers are participating in ESRA‘s IREC competition this year. 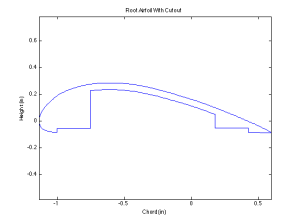 The payload for the Rocketeer’s competition flight is a collection of video camera recording their free descent, falling such that their path(s) to the ground are helical and the view is generally downward pointing. Effectively this is a data set collection mission, and the data set is destined for computer vision research at Georgia Tech’s RIM facility. 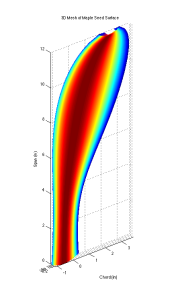 There are several approaches to solving the problem of how to ensure this helical path. A sensible solution would be to rig a simple parachute to spin and suspend each camera from such a parachute, but this is lacking in style. The Cool™ way to do this is to build a gigantic maple seed, and house the video camera is the the seed pod portion. There are many different varieties of maple seeds, but we want to make really large maple seeds (at least, much larger than mother nature already made). Thus, we choose the largest natural example to draw our inspiration: the Silver Maple Tree. At this point, the normal engineering approach differs from ours, due to lack of domain knowledge. So we take the Scientific approach, Experiment! As an easy first step, a roughly maple seed shape was cut from a piece of foam board, and a roll of tape affixed to approximate the seed pod. 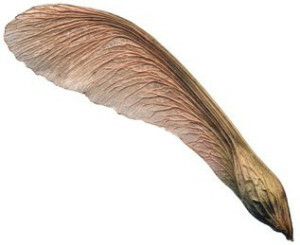 The success of the five-minute, foam board maple seed led to the next iteration; a less bio-shaped half wing with no taper. This prototype was created to explore the feasibility of using traditional balsa rib, spar, and stringer methods of building the maple seed in addition to exploring the maple seed’s flight in a larger scale. The obvious addition of the wing tip flap (no it is not an aileron because it is not a control surface, it is quite literally a square of poster board taped to the wing) was necessary because the simple rectangular wing was prone to spin along the length of the seed. 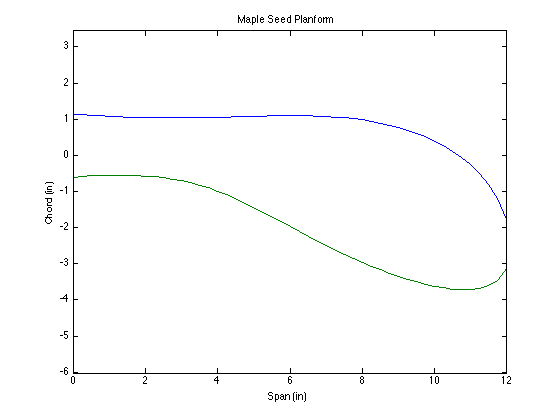 Clearly the large but square maple seed was a success, but we learned that the planform of the seed and the density gradient (some people call this weight distribution) of the seed are very important to the flight path. Most importantly, neither prototype will fit inside the payload bay of our rocket, and we want to deliver about a dozen of these maple seeds to the drop altitude. The next step takes what was learned in the first two designs, and applies those lessons and a little more design effort towards constructing a prototype that would fit in the rocket. As an added constraint, we would prefer the maple seed to have a bias, so that we can be reasonably sure that the seed will prefer to develop a left-hand or right hand spin. It doesn’t matter which way the seed spins, as long as we can orient the camera in the seed to look at the ground with some reasonable measure of confidence. 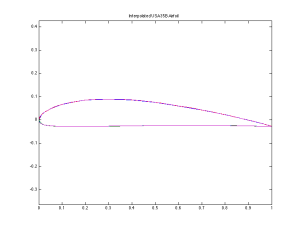 A somewhat arbitrary (hey, I like it), non-symmetric airfoil was chosen for the maple seed in hopes that the pitching moment of the airfoil would induce a bias without disturbing the general flight too much. 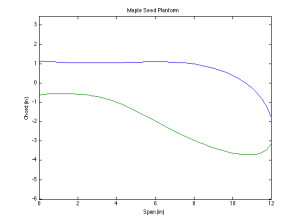 Next a planform for the seed was generated by spline approximation, using points traced from a real maple seed. Now we take a second to think about manufacturing. Making light-weight things in this scale is difficult to do without incurring surface deviation penalties. 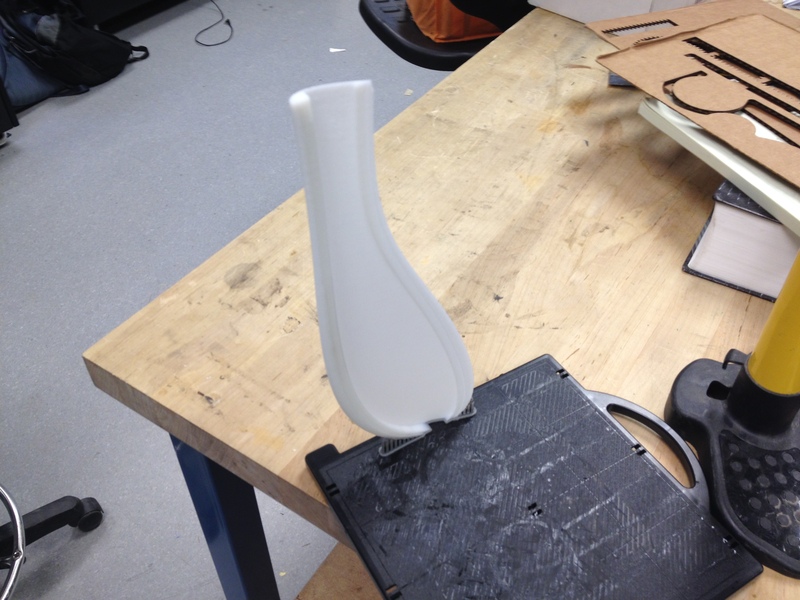 Fortunately we have access to the Invention Studio, and can 3D print a prototype to get a satisfactory surface quality. 3D printing is not the magical answer however, because the resulting ABS plastic parts are quite a bit more dense than is desirable for this application, and we have no control over the density gradient. To solve this we cut out a surface at the front and back of the airfoil bottom to attach a thin cover, and hollow out the remaining airfoil shape to get the minimum thickness reliably produced with the 3D printer. 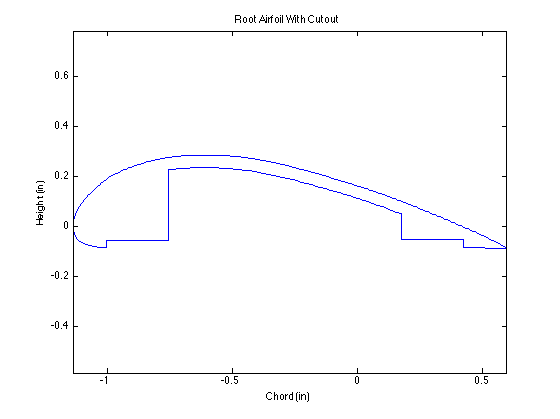 Generation of the maple seed’s 3D surface is accomplished by lofting/sweeping the airfoil down the span of the planform, and performing the cutout operation at each slice along the way. 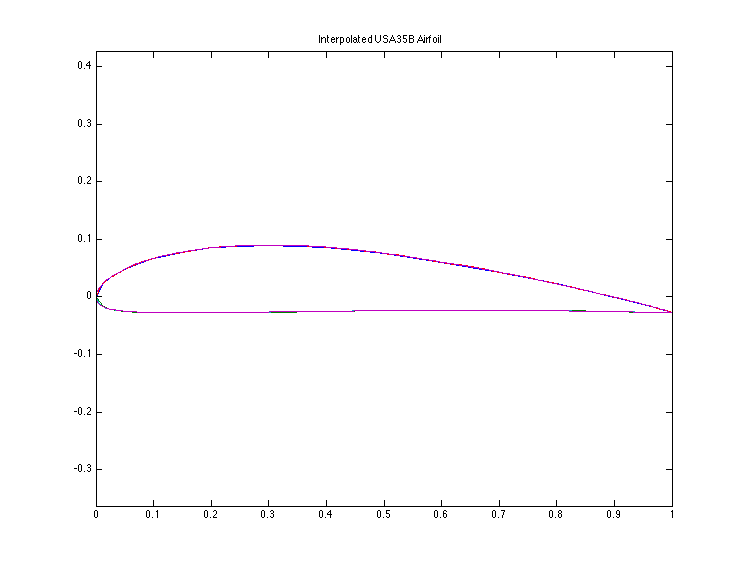 All of this performed by custom code I wrote in MATLAB. 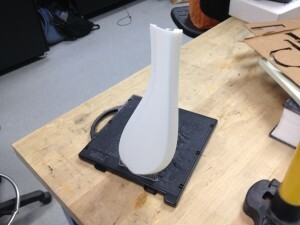 Lastly, the 3D mesh is exported to obj format, repaired and exported to stl by netfabb, and then sent to the 3D printer. Initially, some folks from the studio (Casey and Josh) helped me test the prototype on the grass by heaving it as high as we could, but the approximately 30 feet of height was not enough for the maple seed to stabilize into the characteristic spin. Now for the part you have all been waiting for! It is a Friday afternoon, I have just put together the printed prototype for testing and Harrison walks in while I am contemplating how to test the maple seed without damaging it. So Harrison and I go outside and pitch it some more to demonstrate to Harrison how it seems to be just a bit to heavy to work properly. Then, just once, on a particularly high toss with a fortunate gust of wind while the maple seed is coming back down, it starts turning. It turned just enough to be obvious, but not quite a full 360 degrees. To Harrison and myself, the afternoon plans are obvious: drop the maple seed from a higher altitude. Between us, the best ideas we could muster up were between Harrison’s quadcopter, and a remote control blimp envelope (just the part that holds the Helium) located in the College of Computing’s MAKE Club lab. Unfortunately, the was a lot of gusty wind, too much for the quadcopter to consider navigating, and by the same token the risk of losing the blimp envelope was too high to realistically take it outside. 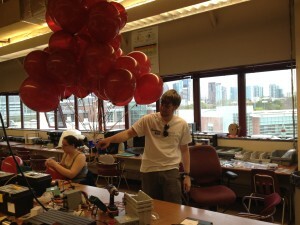 Getting the balloons out to testing location was quite challenging, the wind exerted a surprising amount of force on them, especially between buildings. We dropped the maple seed three times, the second being the most successful. The dropping mechanism was a quick and dirty job, its just an Arduino and a servo that releases after a specified number of seconds. Here is Drop 1 and Drop 3 for reference.